The DG Murray Trust has made a significant investment in IkamvaYouth, towards core operational costs and to enable an independent evaluation of our impact, which Dr Servaas van den Berg is currently conducting. The Trust has also recently published a learning brief from IkamvaYouth. Read the full report here to learn more about our organisation, how we began, how we operate, the impact we’ve achieved to date and the lessons we’ve learned along the way. 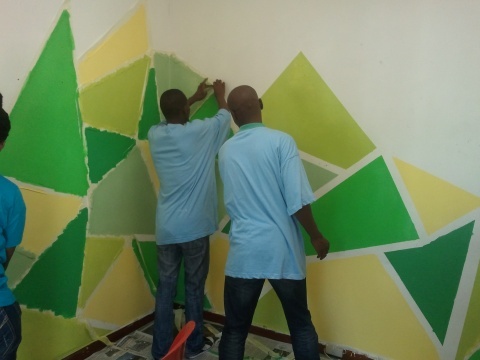 A number of our longest serving volunteers have moved across from the established Ebony Park branch to the new Ivory Park branch to help us get started and ensure we do things the unique IkamvaYouth way. The energy and dedication evident in our new group of learners is infectious and it’s impossible to attend a session and not feel like something special is happening in Ivory Park. 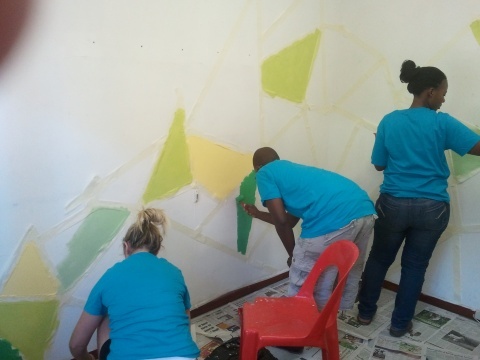 We have been massively privileged to welcome a number of volunteers from the University of Johannesburg and even though many of these volunteers are themselves brand-new Ikamvanites, they have fitted in seamlessly and their contribution is hugely valued and important. 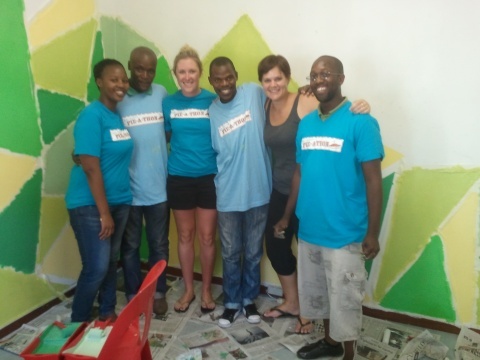 We have to express a big thank you to all the new and returning volunteers at all the IkamvaYouth branches but we especially want to thank the new cohort at Ivory Park as it is this group that will help us begin a journey that will continue to benefit learners from the Ivory Park community even long after these volunteers have moved on to other things themselves. S/he will be based at township, and must be an enthusiastic and pro-active social entrepreneur who is passionate about the power of education to transform lives and communities, a person who aims to make a difference. This is an exciting opportunity to join an amazing team of change makers and to play a pivotal role in a by-youth for-youth educational movement that empowers young people to take their futures into their own hands. An individual with excellent communications skill, both written and verbal will feel at home in this position. A background in project management or the NGO sector will be considered but is not essential. If you are driven, reactive, flexible and able to work with others to help them reach their potential, then this could be the position for you. Closing date 09 March for Western Cape and Gauteng position. Closing date 30 May for Easten Cape position. Correspondence limited to short listed candidates only. No late applications wil be considered. 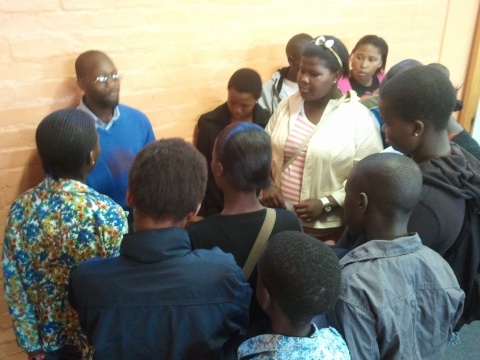 Some awesome news for February 2012 – we’ve just moved our Nyanga branch from the Nyanga Library to the Zolani Centre. 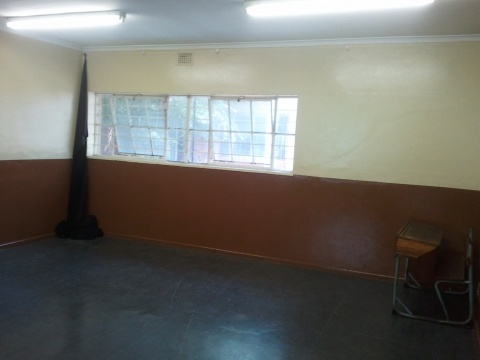 Check the pics below for a taste of our new space… we’ve already been busy decorating and are excited to announce that we’re upping the number of young people we’re working with in Nyanga from 60 to 90. Tutoring is hopefully kicking off next week, but we need your help! We’re in urgent need of desks or tables to help us seat young people during their classes. The space is ours to use in the afternoons but is used for other purposes outside of our hours, so we’re looking for some stackable/foldable trestle tables or desks which can be put away outside of class times. Can you help? 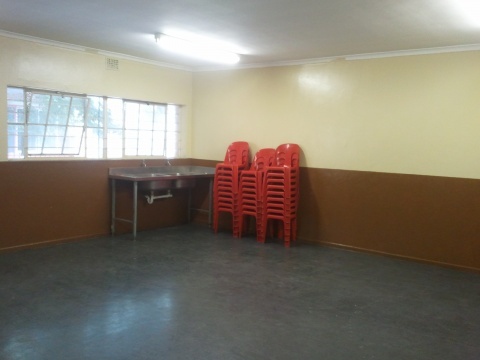 If you’ve got any tables/desks you could donate please get in touch with Asanda on asanda@ikamvayouth.org or drop him a line on 07988 54277. Please pass this along to any contacts/networks you think might be relevant – your help is hugely appreciated! 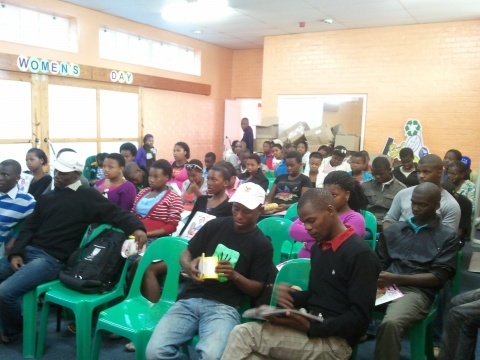 Nyanga branch has kicked off the year on a high note this weekend with an open day held at the library where early on Saturday morning the hall was full with new eager, hopeful learners all looking for a place this year. A few parents also came to show their support, as well as all the tutors and new returning grade 12s. Another highlight of the morning was the announcement that the branch will be moving, for the past few years the Nyanga library has been home to the branch with the librarians an integral part of the operations, yet one thing that couldn’t be controlled is the crime level in Nyanga, and so with the safety of the learners and tutors at stake we’ve secured space for tutoring, an office and computer lab in the Zolani community centre. This very exciting move will be taking place this week and so by the time tutoring starts this year we’ll be completely settled and ready to get going. And so when the new learners left on Saturday with application forms it left everyone with a sense of excitement, not only for the New Year, the new learners, the old learners taking control of their future, but of the new space, the new possibilities, the new direction the branch will be taking in 2012. Expect to be seeing only great things from us this year, it’s our time!